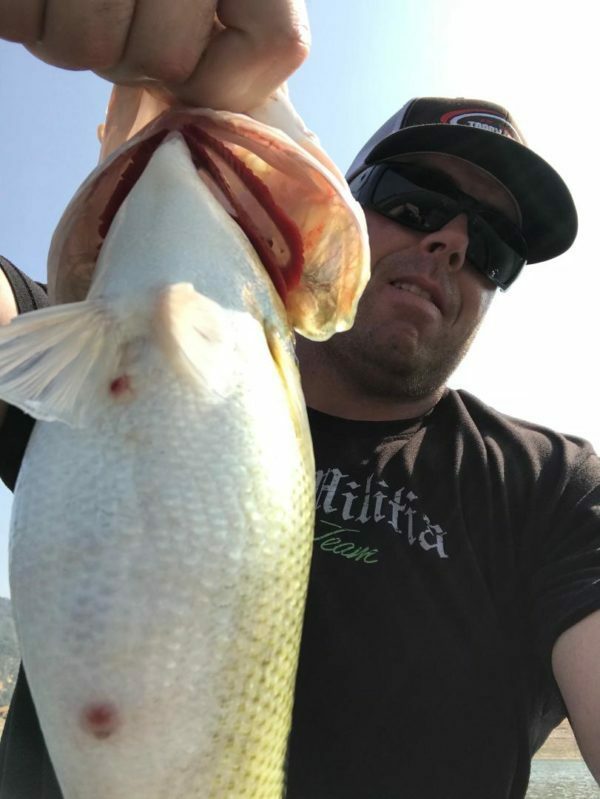 My good buddy Don Longton and I decided to make a quick afternoon trip to Lake McClure since the bite has been good to say the least… We started fishing some creek channels dragging jigs in 15-40 foot of water with nothing to show for it but a few small spots up to 2 lbs. Kept fishing our way up the lake, hopping from main lake point to main lake point throwing jigs, tubes and Topwater baits. Found the fish to be scattered and suspended, very tough to target. About 30 minutes before it was time to leave we pulled up to our last main lake point we were going to fish, I picked up the jig to throw out deep and Don picked up a Topwater bait and fired it up shallow, a few twitches in, he hooks up with an absolute TANK that ended up going just over 9 pounds, incredible fight! 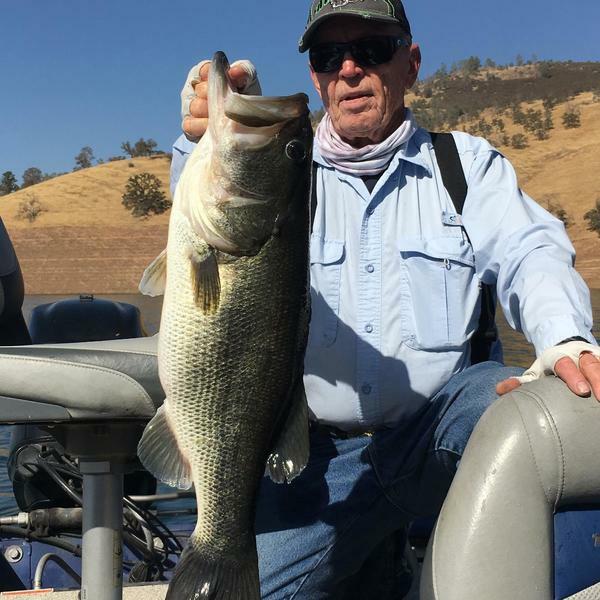 I never get tired of watching this guy catch big bass, most people pushing 80 years old can’t even get out in a boat, much less go out and catch giants, (he still wins tournaments also) just awesome! 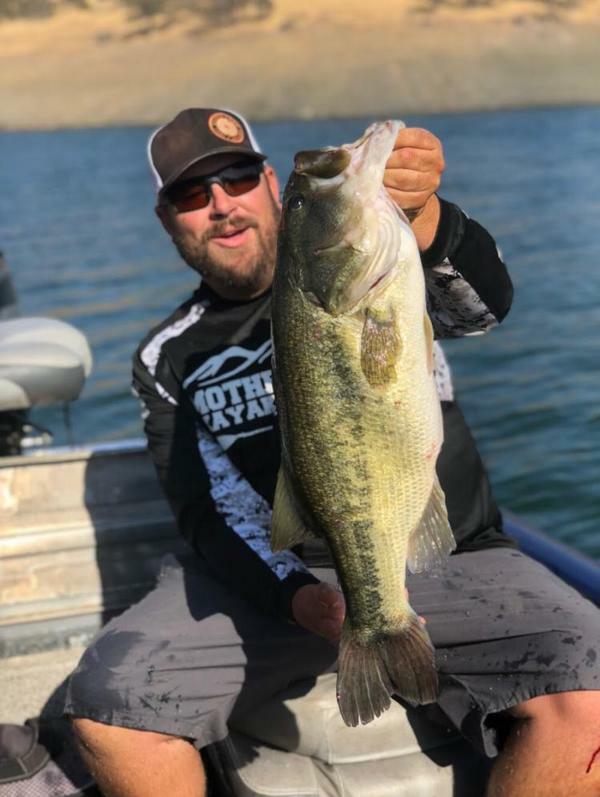 We ended the day with a lot of small fish, with a few decent ones and a big one mixed in, overall it was a tougher bite than it has been, but we were fortunate enough to boat our second bass over 9 lbs in the last 3 trips out on McClure, the big girls are biting!